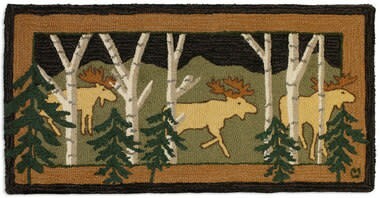 Three moose walking quietly through a birch grove. Makes one feel like they are hiding behind one of the pine trees watching the procession. 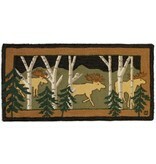 2'x4' hand hooked accent rug. Made with 100% natural wool.